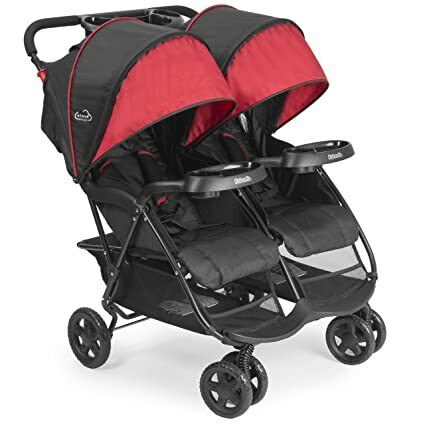 On Amazon where you can now get this 双座婴儿推车 Kolcraft Cloud Plus Double Stroller for just $118.13 shipped (regularly $199.99) – BEST PRICE! This stroller is travel-friendly and features a lightweight design (weights just 23 pounds). It has a three-tier, extended canopy for maximum UV protection and a peek-a-boo window so you can easily keep a watchful eye on your baby.